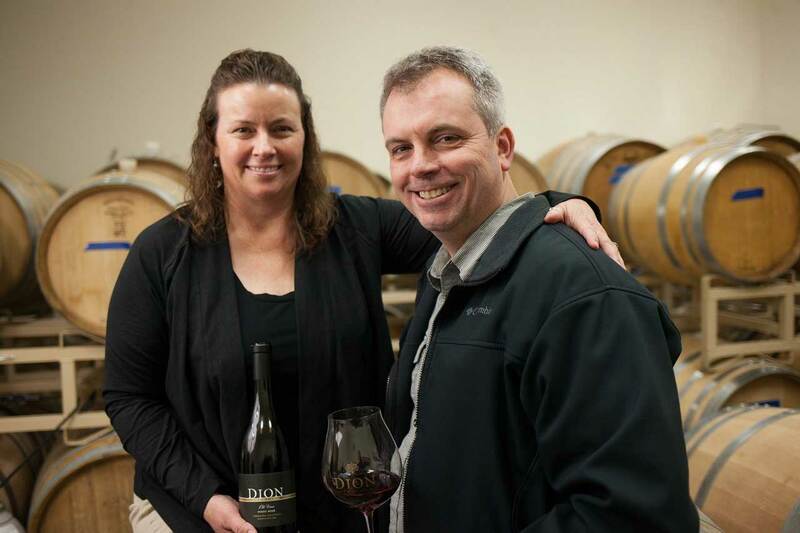 Dion Vineyards has a long history. The vineyard was started in 1973 by Ron and Joanne Johnson. Ron’s father also was a winegrower, in Yakima Valley. Ron and Joanne started their vineyard, a five-acre piece of land, which grew to an abundant 60 acres. Since 1973, Dion Vineyards has been producing luscious grapes. Today, it’s the family’s second generation who are making wine from these 40-plus-year-old grapes. As their vineyard grew, so did their family, with the addition of son, Kevin, and daughter, Laura. Today, Kevin and his wife Beth have taken over winemaking duties at the family estate.